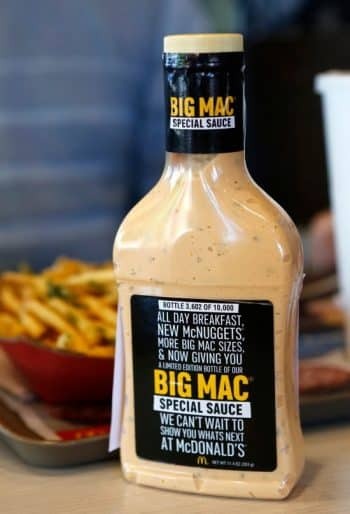 We always recommend making this Big Mac sauce when cooking our delicious Big Mac copycat burgers. It even tastes great when mixed with other burger or salad recipes! Combine all ingredients then stir well. Refrigerate over night, or at least 30 mins before use. It’s as simple as that, simply spread on top of your burger and enjoy! If you fancy keeping the calories down, then check out our reduced fat B M Sauce copycat recipe. Also be sure to check out our Big Mac recipe for the ultimate Big Mac copycat recipe!